Weather? Check. Budget? Check. Language of destination? Check. 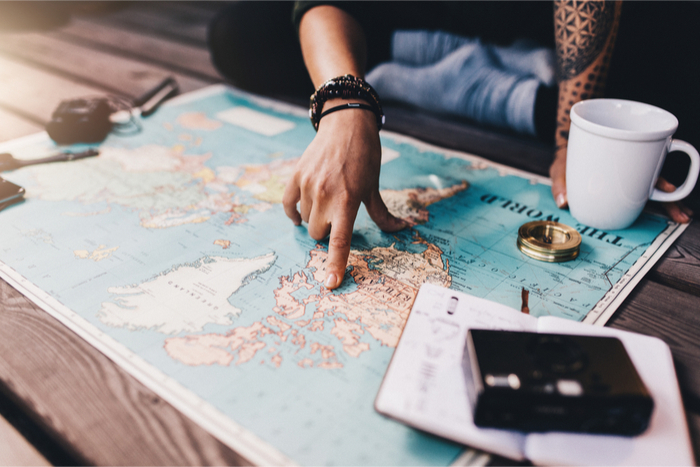 Crossing off the basics on how to choose a travel destination seems to be a no-brainer for us globetrotters. But, how do you add meaning to a trip and make it in line with your preferences? In my experience, it’s the little things that turn popular destinations into personal, unique adventures. Finding these details and adding them to my itinerary has guaranteed lots of stories to share back home. Here’s how I add meaning to my trips when I’m debating on where to go next. 1. I travel with a purpose. Whether it’s going to a music festival, such as the New Orleans JazzFest, attending the visually striking Lantern Festival in Chiang Mai or a doing a fun activity like the Holi Festival in India, sometimes, I wrap my vacation plans around a special event that I’ve been wanting to attend. By doing so, I steer clear of the beach-cocktail-sightseeing combos that can be extremely alluring, but can become pretty dull after a few days. In 2016, I visited New Orleans, where I managed to watch Pearl Jam live – I’ve had a 15-year-long crush on Eddie Vedder, as he set the tunes to my rebel teenage years. 2. I travel through literature. What do places like Cartagena (Colombia), Mangue Seco (Brazil) and Valparaiso (Chile) have in common? All of them have been the backdrop to books that have touched my heart at some point in my life. Literature has added meaning and color to my trips around the world. I traveled back in time and into Gabriel Garcia Marquez’s stories while wandering through the narrow brick-lane streets of Cartagena de Indias in Colombia, where the dusty almond trees, can make anyone fall in love with the little historical town. In Chile, Pablo Neruda became my private tour guide, as I went up and down the hills of Valparaiso, visiting his old-home-now-turned-museum, after an afternoon of reading his autobiography, in a chilly but sunny afternoon. I lost my sandals in the bucolic little village of Mangue Seco, as I ran excitedly towards the fictional house of one of my book heroines, Tieta do Agreste, the central character of the homonymous novel by Jorge Amado, one of Brazil’s all-time favorite authors. Being able to see and touch places where my beloved characters have laughed and cried is comparable to entering a world I never thought possible before. 3. I seek unusual experience. After a 12-mile bike ride, beach-hopping around a state park in Puerto Rico, and a quick stop for sunset in the island of Vieques, my friends and I got picked up to what would soon become one of the most beautiful nature experiences I’ve had so far: close your eyes and envision a pitch-back bay, surrounded by mangroves. As you look up at the sky from your kayak, you see the starriest night. You take a paddle, and as it touches the water, it glows with the plankton that live in Mosquito Bay, the world’s brightest bioluminescent bay. Jaw-dropping doesn’t even begin to describe the experience of scooping a handful of water and observing it run down and glittering your forearms. Our tour guides were knowledgeable and told us about the natural phenomena, as well as giving us a mini astronomy lesson, as we observed the constellations shining above us in awe. With the world as our oyster and so many choices of places to go, it can be hard to pick places that speak to your heart rather than the sought-after picture that may or may not be insta-worthy. Despite the buzz and external pressure, choose your own path and go where it feels right to you.